Tetyana Shlikhar is a PhD student in the Department of Slavic Languages and Literatures at University of Pittsburgh. 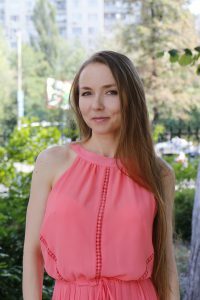 She received her MA and PhD in Translation Studies from Taras Shevchenko National University of Kyiv (Ukraine), as well as MA from University of Pittsburgh (2016). She did research on drama translation as a Fulbright fellow at Binghamton University, SUNY in 2011-2012. Her current research interests include memory studies, historical film, and Russo-Ukrainian relations.